A man, who impersonated the Inspector General of Police Pujith Jayasundara on Facebook and deceived a number of women, was arrested on Monday by the Criminal Investigation Department (CID). The suspect, a Sri Lankan living in New Zealand was arrested at the Bandaranaike International Airport when he arrived in the country. The CID commenced investigations after a woman from Kandy lodged a complaint with the police in July against the suspect. 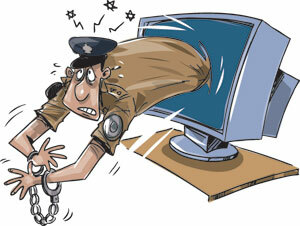 The suspect was produced before the Colombo Chief Magistrate yesterday and remanded till September 8. Somebody's may advice to make use of him too like the boy who hacked President's web site.